Does your child have average learning assessment scores, but still struggles? Are you confused about what the numbers mean or suspect there’s more to know? Join Lynn Arnold from Learning Strategies, LLC as she presents the meaning of these scores, what they say about how your child learns, and how to use this knowledge to help your child. If you’re interested to know more, join us on Thursday, February 21, 2019 at 6pm and bring all your questions about this unique topic! What learning assessment scores tell you about how your child processes information. How attention, memory and processing skills affect learning in reading and math. How you can help your child be more successful academically. Why your school may be unable to address your child’s struggles. Lynn Arnold is the owner of Learning Strategies, LLC, a business she began to help people succeed academically despite learning struggles, attention and memory difficulties, and conditions such as Asperger’s and high-functioning autism. Her own children went through school with learning struggles while also being tested as gifted. The journey to help her children overcome their difficulties and go on to graduate college and pursue successful careers ignited her passion to help others. 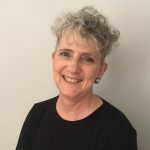 Lynn has worked with children and parents for over 18 years to identify specific learning challenges, develop individual programs, navigate the school system, and provide guidance regarding available resources.